Bombardier’s Learjet 60 is a midsize jet featuring exceptional handling and constant reliability. Able to climb quickly and fly at a fast cruise speed, the Learjet 60 provides seamless travel on every flight. Designed to provide maximum space for passengers, the Learjet 60 has one of the biggest cabins in the Learjet line. 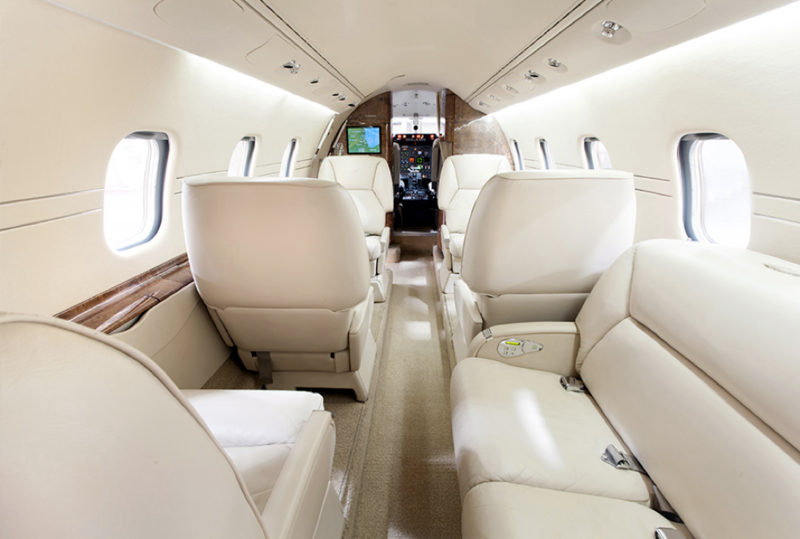 Comfortably seating six to seven passengers, the cabin features premium leather seats that swivel and recline. Fold out tables can be easily accessed or stowed away and are perfect for dining or working. Amenities such as a radio phone, fax machine, microwave, and coffee maker can be included in the cabin if desired. 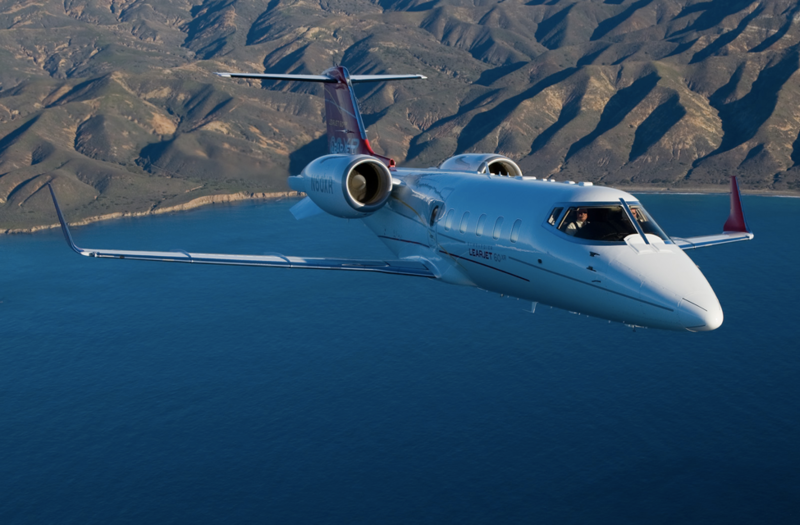 With the capability of climbing to a cruise level of 43,000 feet in less than 14 minutes, the Learjet 60 can reach speeds of up to 457 knots and has a transcontinental range of 2,590 miles. Two Pratt & Whitney turbofan engines reduce takeoff noise and each provide 5,225 pounds of thrust. As a unique function, the Learjet 60 has a digital engine control system that easily controls all of the engine’s functions. The system automatically regulates engine performance during flights, decreasing workload for pilots. Additionally, heavy wing loading provides smoother flights even during turbulence. A nose wheel steering system makes handling easier when the jet is on the ground and stronger brakes enhance performance as well. 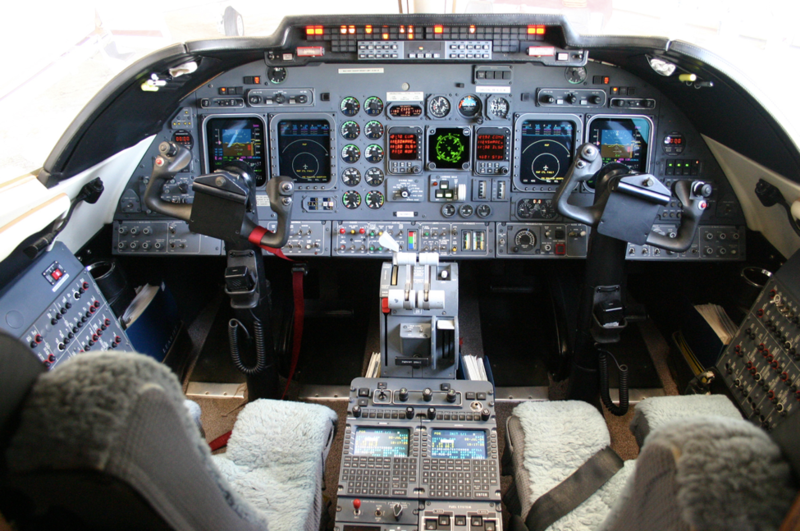 The Learjet 60’s flight deck is equipped with the Pro Line 4 avionics system featuring four large displays. A clean layout provides pilots with the most necessary information while a flight guidance system and short-range navigation come standard. Providing constant reliability and strong performance, the Learjet 60 is one of the most popular jets in the midsize category.